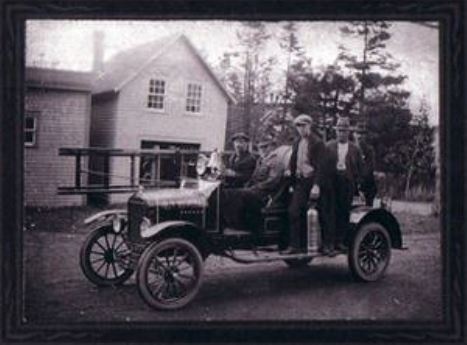 Since 1924, the department has existed to protect the citizens of the Kennebecasis Valley. 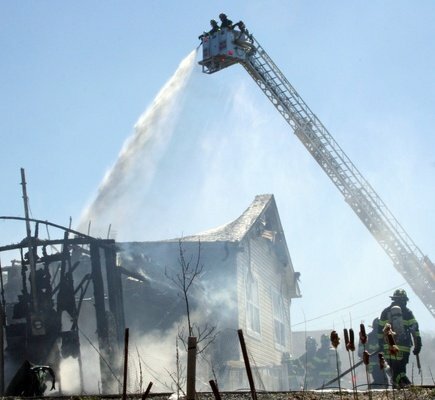 Today, as a career fire department, it consists of 40 firefighters including 12 "company officers' which includes senior firefighters, lieutenants, and captains. 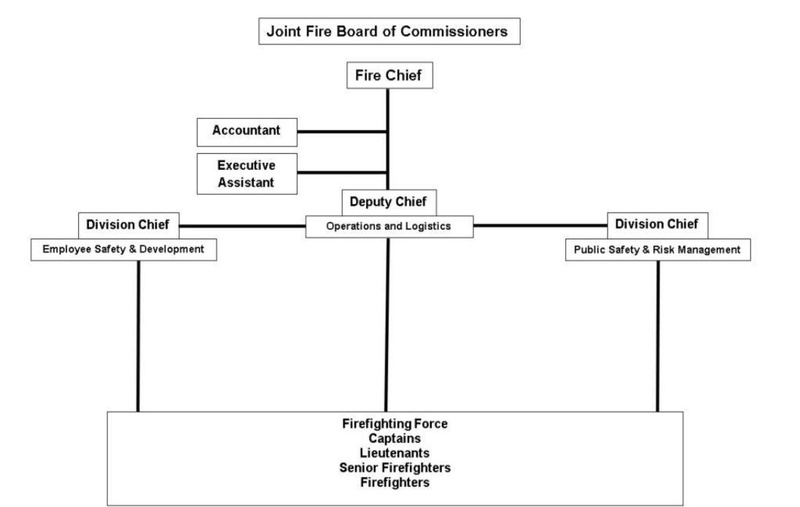 The management structure includes the fire chief, deputy fire chief, and two division chiefs and there are two support staff including an administrative assistant and a financial clerk. As an incorporated entity, the department is directed by the Joint Board of Fire Commissioners which is formed from the Rothesay–Quispamsis Regional Fire Protection Agreement. Operating out of two fire stations, the department provides fire protection, vehicle, off-road, ice and water rescue and responds to medical emergencies with Ambulance New Brunswick. The department also has an active fire prevention division that conducts fire code inspections, provides fire and life safety educational programs, and has a child car seat installation program. The Kennebecasis Valley Fire Department traces its roots back to the Rothesay Fire Department which came into existence in 1924. Prior to this, the community had to rely on volunteer bucket brigades and would also rely on the Saint John Fire Department, if the road conditions allowed them to respond. In 1921, the need for a professional fire department was demonstrated when the home of Senator James Domville burned down. In 1924, the Village of Rothesay purchased a Model T chemical fire truck with money collected from villagers and it was stationed in a building beside Rothesay Consolidated School. With this, the Rothesay Fire Department was formed and was staffed by volunteers. In 1933, the village began to install fire hydrants and a Bickle Chevrolet water pumper was purchased. The fire department continued to be upgraded with an Air Force truck tanker in 1947, a Dodge 1951 Bickle Seagrave pumper, and a King Seagrave pumper in 1961 and another King Seagrave pumper in 1968. By the mid-1950’s, the department had outgrown the van shed used for its trucks and a fire station was built at Rothesay corner in 1956. This station was expanded in 1974 to accommodate the growing fire department and also eventually housed the police department. During this time, the department was responding to calls from other communities as well however in 1966 the department assumed fire protection for the newly incorporated communities of Rothesay, Renforth, East Riverside-Kingshurst, Fairvale, Gondola Point, and Quispamsis. This change meant a greater demand on services and in 1967 Chief Geoff Sayre and Deputy Chief Earl Carleton began receiving a salary. The next career firefighters were hired in 1972, 1975, and then almost one per year beginning in 1978 because of the growth of the community. In 1982, the current station 2 was built in Quispamsis. The Rothesay Fire Department became the Rothesay Regional Fire Department in 1989 with the formation of the Joint Fire Board of Commissioners. This change also saw the hiring of the first non-union deputy fire chief. In 1998, the amalgamation of the area gave the department an additional area across the highway to protect that had been previously served by the Bradley Lake Volunteer Fire Department. The Bradley Lake Station was operated by the Rothesay Regional Fire Department from January 1st, 1998 to February 23rd, 2001. The existing station 1 was opened in 2001 and once opened resulted in the closure of the old station 1 as well as station 3 in Bradley Lake. In 2007 the fire department changed officially to the Kennebecasis Valley Fire Department with a new regional agreement signed between both towns. Throughout the next decade the fire department would see a significant change with over 17 retirements, the addition of new staff, hiring of a new fire chief and deputy chief, and other changes made to the management structure.